Home > Alltel Archive > The My.Alltel Portal Just Got Even Better! The My.Alltel Portal Just Got Even Better! 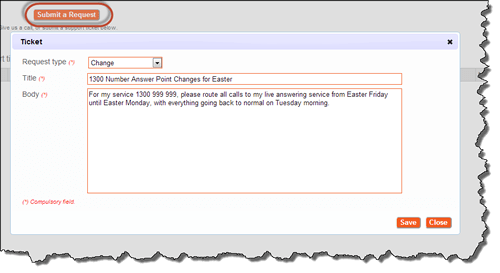 In October last year, we announced Alltel’s new customer portal, My.Alltel, which provides you with a single point of access to all information about your account. But we didn’t stop there. Over the last few months we’ve listened to your feedback, and have added some new features plus “tweaked” some of the existing ones to make your portal even better. Go to Alltel Portal and we’ll take you through some of the things you can do with your new portal. Log in using your customer ID and old password (right side of screen). Click the Edit Users button (top right of screen). Enter the email address and other details for the new user. Save the new user details. The system will then send a message to the email address you specified with full details of how to start using the new account. Log in to the portal using your email address (left side of screen). Note that you won’t be able to log into the portal using your customer ID after 30 June 2013, so make sure you create your new user account before then! 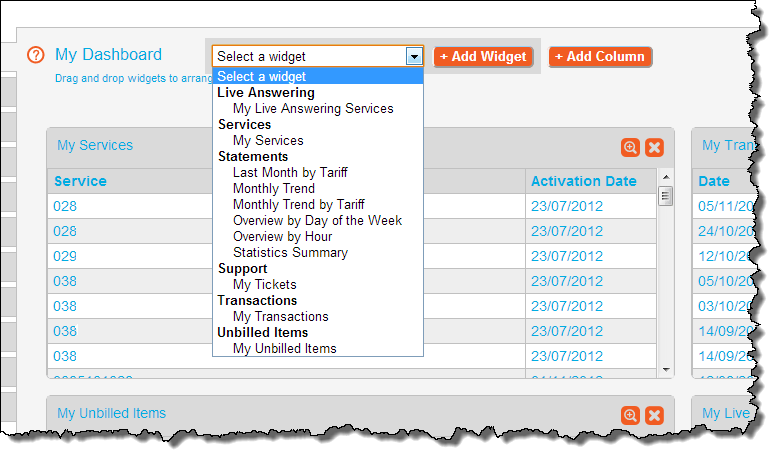 To add new information, Select a widget from the drop down list, and then click the + Add Widget button. To reorder information widgets on the page, click their heading bars, and then drag and drop them to the required position. To delete existing information, click the orange X symbol on the heading bar of the widget no longer required. To view more widgets on a single screen, click the + Add Column button. This is one of the new features that we’ve added. It allows you to request and make changes to your services, billing details, and direct debit/credit card details directly through the portal. Click the Submit a Request button. Select the Request type: – Support, to request help from Alltel’s support team. – Change, to request a change to your services or advise us of new contact/billing details. – Direct Debit Change or Credit Card Change, to make changes to your payment method. Fill in the details for your request, and then click the Save button to send the request to our Customer Service Team. If you’re sending us a support or change request, be sure to provide all of the information we need to be able to help you! You can click the Statements tab to see details about all of your statements plus your payment history. We’ve added an option for those of you who want to receive a PDF copy of your statement each month. Just select the option in the top right corner of the screen, and then click Update to have statements emailed to you. A variety of reports is available through your portal, which provides you with a fast and easy way to see what’s going on with your services. Simply select the report you want from the drop-down list, and then click the View button. 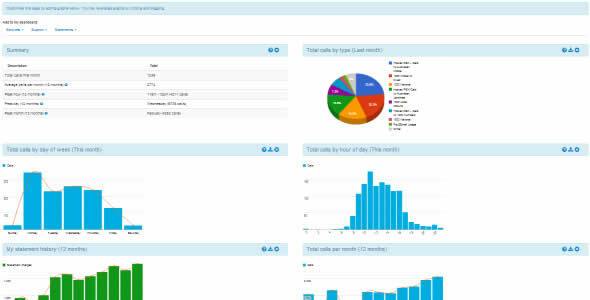 You can view reports that show you both detailed and summary information about your services, usage and billing history. Compare usage trends month to month, by the day, or even by the hour. 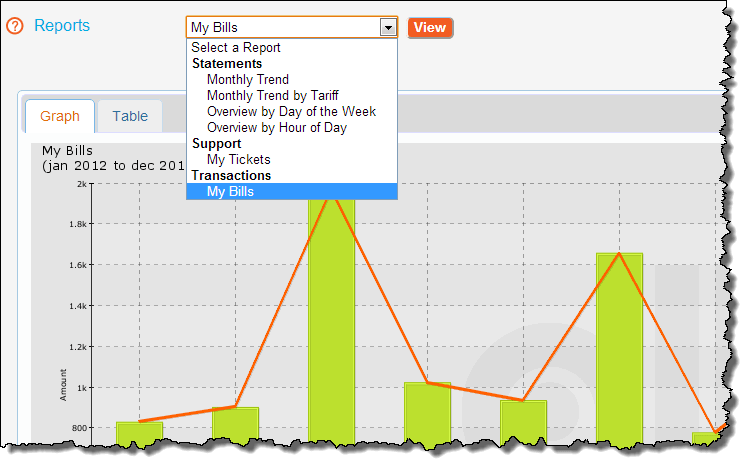 View detailed information about your monthly costs in both graph and table format. My Services shows summary information about all of your Alltel services. Unbilled Items shows all new charges to your services since the last bill you received. Live Answering shows details of your live answering messages, including the date and time of each call, and messages that your callers leave. Transactions shows details of your payment history. Account Details shows details about your account. If you have Admin access, you can also create new user accounts and edit existing user details. Make a Payment allows you to pay your Alltel account directly through your portal. Help provides information about some of Alltel’s most popular services. And if you can’t find the answer you’re looking for here, you can either call us or submit a support request. This is your portal, and we’d love to hear from you—tell us what things you like and what new features you’d like to see added. You can contact us at any time on 1300 ALLTEL (1300 255 835). You can even send us a Change Request through your portal!